I decided to have a bit of fun with the April Mediums Add-On from Swirlydoos. I dug into my stash and pulled out a 6" x 12" canvas, a couple of heart stencils and a jar of heavy gesso. The heart from the Main Kit was covered with the same Memory Box stencil that I used on the sides. 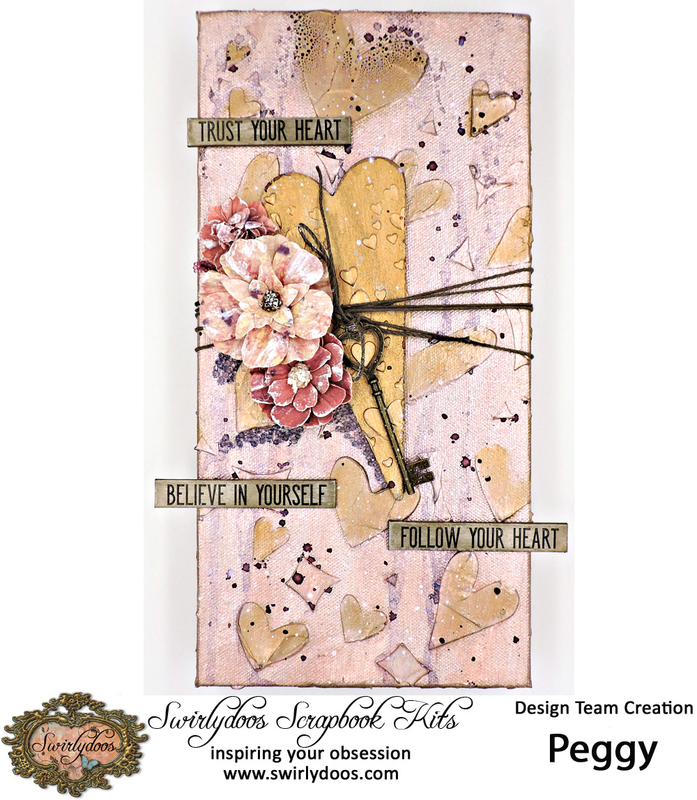 I wanted something bigger and bolder on the front and my Heidi Swapp stencil was perfect. Once the gesso was completely dry, I went over the entire canvas with Prima Sparks paint; I deliberately did not stir the paint so that I could get a variegated look. The sides were given a very light swipe of Finnabair Metallique Wax to tone them down. 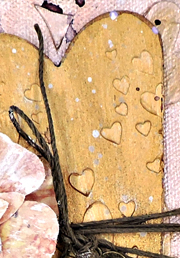 After adhering the wood heart with matte gel and tying twine from the Project Kit around the canvas, I started misting with the Art Anthology spray, then water to create dripping streaks here and there, using my heat tool between applications. 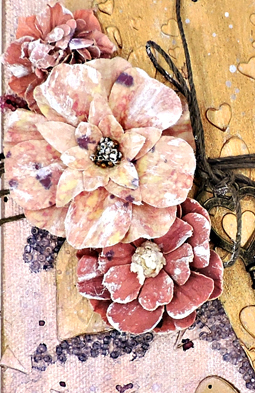 I added a few blooms from the Flower Add-On, then some of the glass beads, which I colored with more of the Art Anthology mist. Time for some splats - first with the mist, then with watered down gesso. To finish my canvas, I selected a few Quote Chips that I colored with one of the fabulous Finnabair Metallique Waxes. Darice - Wood Shape - Primitive Heart - 2.5" x 6"
Swirlydoos - Brass Key - 3"